This white off the shoulder crop top features elastic so it won’t be falling down any time soon. 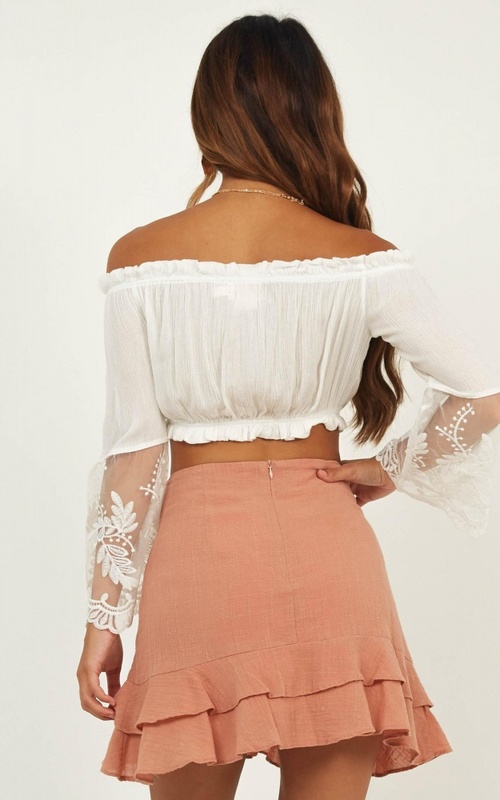 With half lined lace bell sleeves, this crop top is the perfect item to add to your summer wardrobe. Match this top with denim high waisted shorts or jeans, sunglasses and a straw hat to achieve a bohemian, relaxed look. I love this top! 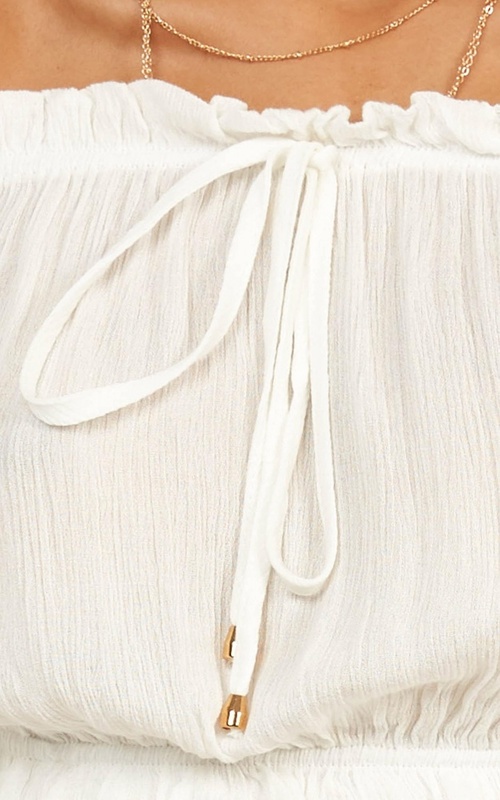 It's very cropped but the fabric is very light and soft and looks beautiful on.